Things are settling down a bit as I buckle down on work for the last five weeks of my undergraduate career. Five weeks! I truly cannot believe that I am almost done and this crazy adventure called college will be over. It has been almost two weeks ago since Istanbul, but feels like a lifetime. As great as it was, time moves on and so must I. If anyone is interested in reading a bit more and seeing some great pictures, please visit my roommate's wonderful blog, Ruth For A Reason. Speaking of roommates, I wanted to devote this blog entry to two amazing people in my life, both of which have been great roommates and become two of my best friends. The first one is Ruth. Ruth and I became friends early on our first year of college, but then drifted apart. We reconnected last Spring and decided to room together as we both did not have housing plans for Senior year. Even though we did not know each other well before living together, it has been the best living situation I could ever imagine! We really work together perfectly and I believe this year has been my favorite year of college largely because of living with Ruth. We have a two-bedroom apartment on campus in the basement of Parkwoods. We worked hard to decorate the apartment with a lot of artwork (mostly our own) and create a place that is welcoming, inviting, but most of all home. But it is really Ruth that makes the apartment feel so much like home. Ruth is really chill to live with, which is good considering my messiness and sometimes breakdowns. She is always there for me when I need to talk and will hold me when I need to cry. She is the perfect one for me to talk to after any sort of significant or insignificant event in my life. One of my favorite times of the day is the two of us reaccounting our different adventures and encounters to each other. With her I feel completely safe and am able to process all that happens throughout the course of the day and feel loved and supported. We laugh together, dance together, and go on crazy adventures together. She not only accepts my weirdness, but embraces it! I love her so much and really hate the fact that I will not be living with her next year. The second person is Krissy. 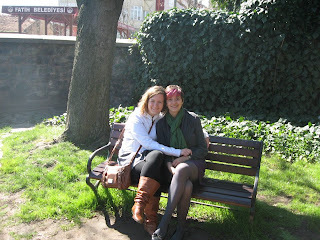 Avid readers will reaccount many of the adventures that Krissy and I had while in Belgium in the fall of 2011. We were roommates there, but became best friends. 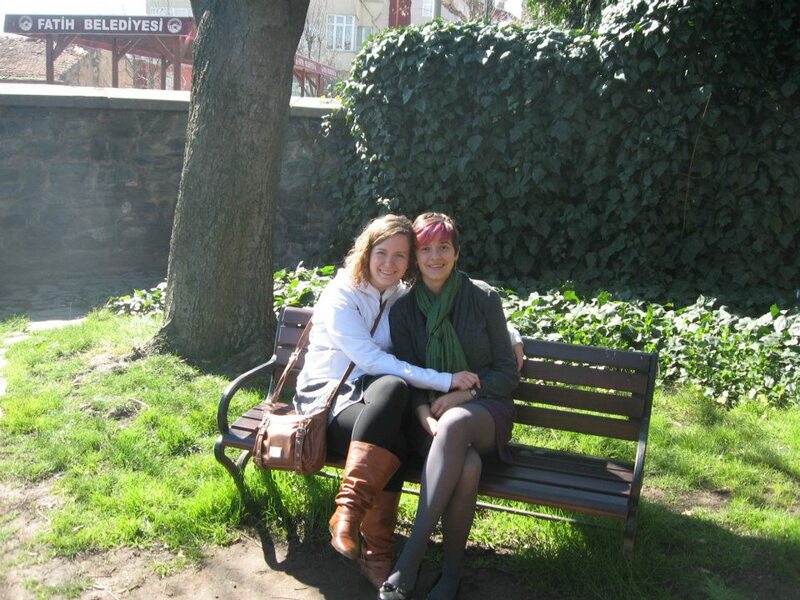 Since that time, I have visited Krissy twice in New York and we have spent countless hours talking on skype. 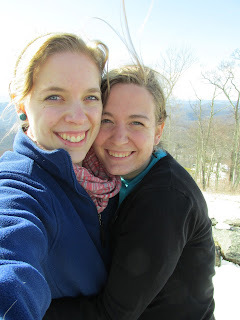 This past week, though, I was so excited to have Krissy come to Virginia to spend her Spring Break with me! We had the best time reconnecting and spending quality time together as I showed her around campus and the Shenandoah Valley, as well as introduce her to Mennonite life. Although she only stayed a short time, we made a lot of new memories and had some really good conversations. Krissy is smart, beautiful, and so full of life! She makes me so happy as someone who has seen me at my worst, and still loves and accepts me. Time together is always filled with stories and smiles as we can talk about any subject, even ones we disagree on, and come out of the conversation with new ideas and perspectives. I love her openness and willingness to learn, and also her deep passion for people and Jesus. She is one of the most authentic people I know and am so grateful to be able to call her a close friend. Our friendship is going to be one the continues our entire lifetimes. Two wonderful people who have impacted and enhanced my life greatly! Love you Jules!! Looking forward to a life time of memories and talks with you!